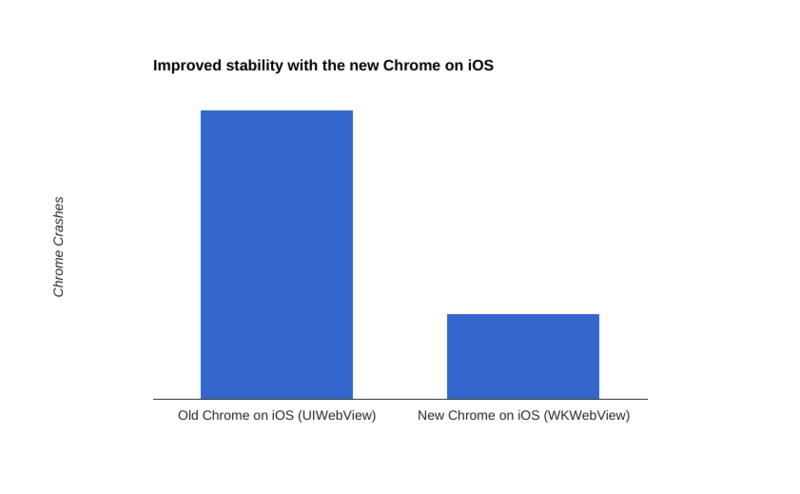 In Chrome 48 we’ve made the switch from UIWebView to WKWebView, leading to dramatic improvements in stability, speed, responsiveness, and web compatibility. The improvements are indeed remarkable and – from a user’s point of view – very noticeable. With WKWebView’s out-of-process rendering, when the web view crashes or runs out of memory, it won’t bring down all of Chrome with it. As a result, Chrome crashes 70% less with WKWebView.